This is a thread with facts / stories about Rammstein that many people don't know. - Did you know the album version of Ein Lied was just a demo to base the actual song on? They made this acoustic version so they could make an electric song with keeboards and drums. However they liked the demo already and didn't manage to improve it in any way, so they just took the acoustic demo. - Did you know Coldplay singer Chris Martin is a very big fan of the song Amerika? He thought it's so well-written, he even integrated fragments of the song in some Coldplay concerts of 2005/2006. Last edited by Waidmann; 10-12-2014, 10:06 PM. I love this thread. I'll think about some stuff to add here. - Did you know in the early days the band toured in Till's old van? It was an old thing, but big enough for Till to drive them around with their gear. - Did you know Schneider's father earns even more money with music than his son? He's namely a well-known conductor constantly on the road with great orchestras. - The pre-production of the Mutter-album took place at Heiligendamm. When entering the city, you see a sign "Heiligendamm, da wo das Land das Meer berührt." Needles to say that sign was inspiration for a line in the song Nebel. Last edited by Waidmann; 10-12-2014, 10:07 PM. Where do you find such information? Oh, in several places... Testemonies by people who meet or co-operated with the band, some of the lesser known interviews (there are rare sites that give you access to those interviews) and the book Bis das Herz brennt, the unoffical Rammstein biography . - Did you know Sven Helbig had the idea for the song cycle “Mein Herz brennt”, and the premiere was on 20th November 2003 in Kulturpalast Dresden? - Did you know the name Flake originated from the cartoon series “Wickie und die starken Männer” / “Vicky the Viking“?. Vicky lives in a small Viking town, called Flake, with his parents. - Did you know Gottfried Helnwein made the cover photos for the Sehnsucht CD. The surgical instruments where property of (Ernst) Ferdinand Sauerbruch, he is considered the most important surgeon in the first half of 20th century. And you must guess the last, I'm sure it's not difficult. Is this song familiar for you? I remember they showed Vicky the Viking here in the very early 80's and I remember watching it with my neice and nephew who I was brining up at the time. The weird thing is, when I was in Germany last december I was in a Reva supermarket and I came across a Vicky the Viking lucky bag, (a lucky bag is a collection of sweets and little toys/activities all in one small bag I can't remember the proper name but here we always call them lucky bags), and I meant to buy a couple as a momento for the aformentioned neice and nephew but I continued round the store and forget. You are spot on though Maya, the village was called Flake. Boy that takes me back! I just checked to see if I could find a torrent to download Vicky the Viking and I did find two sources but they are both in Spanish. It's not fair I telz ya,I telz ya it's not! Maybe it's beceause they replayed the cartoon series one or two years ago. There's even a film (2009). I just read in wikipedia that there will be a new version of the cartoon this year. After watching Maya the bee (new version) and the old one, I don't know what to expect. You know, when Flake himself was asked where this nick name came from, he answered he didn't know himself. His parents called him like that since he was five. The name surely reminds him of the place in the "Wickie und die starken Männer" - cartoon series (which Flake watched indeed). However the series weren't broadcasted in Germany untill 1974, when Flake was already eight years old. Of course it might be possible that Flake's parents got the name from the swedisch children's book "Vicke Viking" from the year 1963, on which the tv series was based. It has been said as well that he was just called "Flake" after the german name "Flake", although that was already back than a rather uncommon first name. ^I have read many versions, he even said I does not mean anything. The first is a translation of Süddeutsche Zeitung-Magazin. You can read it here. 3. From where does the name “Flake” originate? 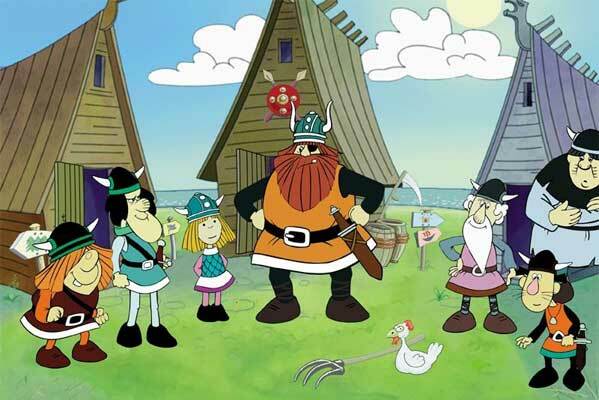 Answer: From the cartoon series “Wickie und die starken Männer” / “Vicky the Viking“. Vicky lives in a small Viking town, called Flake, with his parents. Last edited by Maya; 06-15-2014, 03:34 AM. Of course, it was posted on the press thread of this forum ( http://affenknecht.com/forum/showthr...eitung-Magazin), I know two translations. Laszlo Vass (Beasty) has posted on LIFAD Community the pages of the magazine but with the text written in English. Amazing work. Have fun, I love this magazine. Last edited by Maya; 05-15-2013, 09:17 PM. Did you know that Ein Leid (2005) was actually originally from 2000, until they re-recorded it in 2004? Strib nicht vor mir was actually recorded in 1999 until re-recorded in 2005? All times are GMT+1. This page was generated at 10:27 PM.